Internet is a good sourcing channel for accurate and up to date information. But for more in-depth thoughts, reading books is far way better. As a Chinese freight forwarding company, we always thought foreigners probably do not understand China. But when trying to read books about China written by foreigners, sometimes we would sigh, “oh, yes, that’s Chinese”. 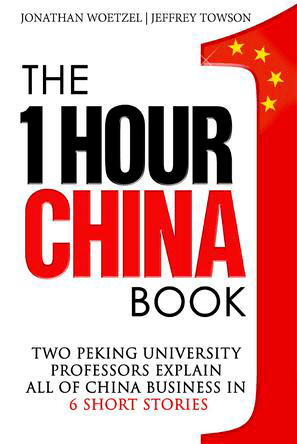 The authors are foreigners, but they know China more than Chinese. With a different perspective of our present society make us better understanding our country, our culture, and our business. In the end, it helps better serve our worldwide customers. That’s why we share the following book list for our readers. We’re sure the books, which are all worth a sign from pure Chinese, will help you learn China and better dealing with your suppliers/agents/partners in China. We are expected to add this list from time to time, but as for now, only five below. Paul Midler graduated college with a concentration in Chinese history. 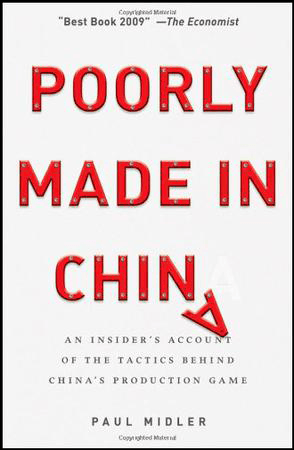 Following a career spent in China, he detailed his misadventures in manufacturing in “Poorly Made in China,” a book that has been called a must read for anyone doing business in China today. 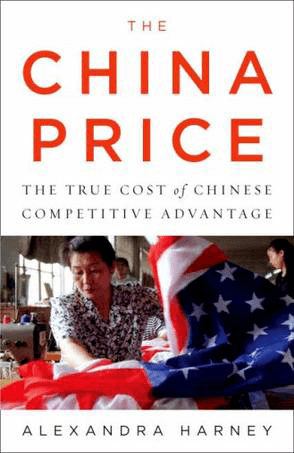 This awarded book doesn’t offer any practical advice on dealing with Chinese suppliers, but it showed an in-depth insight into China manufacturing and exporting businesses. Mr. Midler reveals how Chinese factories play tricks on lead time, quality, packaging price, etc. For some factories, we have to admit it’s the truth. But for others, they want to grow with their foreign customers in a healthy way. There are always bads in goods, or goods in bads. Author Jeffrey Towson is a private equity investor, professor and best-selling author. His area of expertise is developing economy investing and cross-border strategies. Author Jonathan Woetzel is a senior partner of McKinsey & Company. He opened McKinsey Shanghai location in 1995 and has been resident since then. He has led many of the Firm’s most significant projects in China. You can become a junior expert on business in China within a very short time. 130 pages, easily read and digested. It may cost you two hours, but definitely worth it. 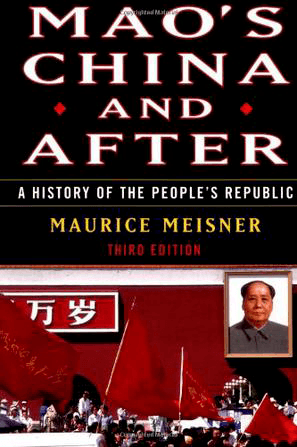 Author Maurice Meisner was a professor of history at the University of Wisconsin. He’s specialized in the research work of Chinese history. In addition to the detailed written of the essential facts, the author puts more attention on historical figures, analysis and commentary, which is not hard to see the point of view of the distinctive and unique insights. Neutral records and reflections on Cultural Revolution. It will help you have a rough idea of Chinese modern history. 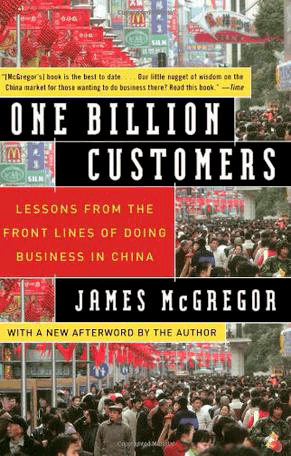 James McGregor is everybody’s go-to guy on China, providing strategic advice to top political leaders and Fortune 500 CEOs, serving as an insightful and influential China commentator for television, radio and print media across the globe, and guiding China investments, mergers & acquisitions. This book offers compelling narratives of personalities, business deals, and lessons learned, creating a coherent pictures of China’s emergence as a global economic power with a dog-eat-dog business climate that has turned bureaucrats into billionaires and left many foreign business executives with their pockets turned inside out. The method of how to deal with Chinese is very fair, objectively, a bit like “I’ll teach you how to deal with the villain.” We strongly suggest this book is a must read for people who want to do business in China. In particular, the author shows how to deal with the business relationship with the Chinese government. Alexandra Harney has penetrated further and deeper into China’s enormous ecosystem of export-oriented industry than any outsider before her to uncover the truth about how China is able to offer such amazingly low prices to the rest of the world. Harney dives into only a digestible handful of angles to tell her story and get her point across. It should satisfy scholars, investors, politicians, and anyone wanting a deeper understanding of what makes the economic machine of China tick. It is no news that China’s low price is changing world’s landscape of mercantile, nor is it secret that cheap products were churned out at the expense of environment pollution, labor rights abuse and safety hazards. The discussion of the government dilemma in enforcing more stringent regulations brings the reader to the core of the problem.